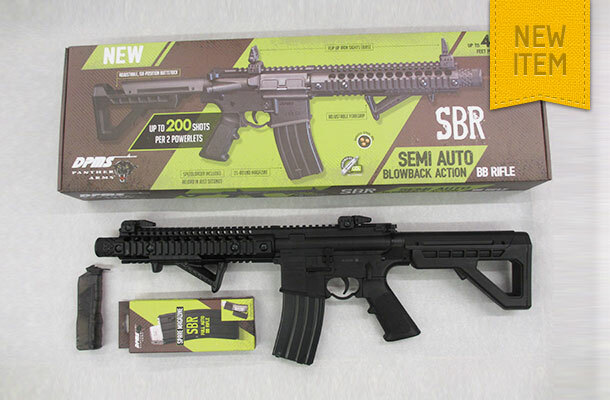 Marketed by Crosman the Panther Arms “SBR” is just a great gun to shoot. The rifle features rapid fire action, six point adjustable stock for length, a 25 round BB magazine and rapid fire semi blowback action. Up to 200 shots may be had with 2 x 12grm powerlets. Shooting the new Umarex “Cowboy” rifle is such great fun. Utilising two 12grm Co2 cartridges the rifle is loaded with the ten cartridges (pellet carriers) supplied with each rifle. These are fed into the side of the rifle in an authentic fashion. As each 4.5 mm steel BB is fired, operation of the underlever, ejects the empty cartridge from the top of the action whilst the forward motion of the lever inserts another loaded cartridge into the breech. Just like a real firearm! New from Umarex is the “RP5 Carbine” rifle. 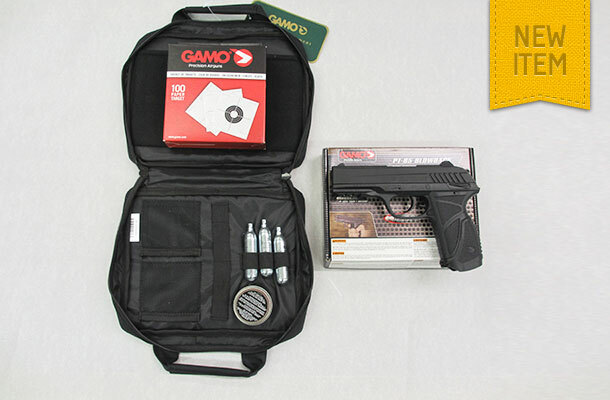 Poor marketing has caused some confusion regarding this gun as Umarex have labelled it as a kit. In fact it is sold just as a rifle but in a hard case. 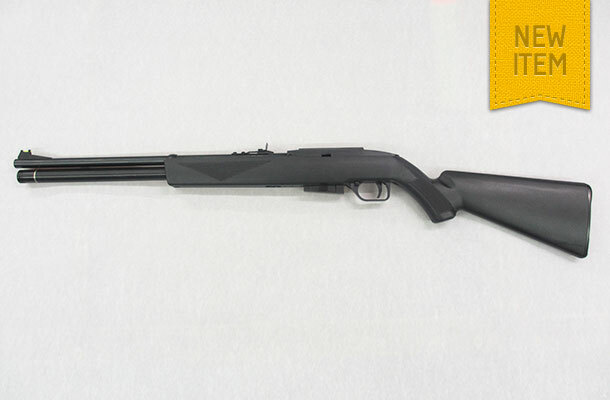 Powered by means of 2 x Co2 cylinders, the gun features a pump action pellet loading system, 2 x 5 shot magazines and a barrel that is threaded to receive a half inch UNF moderator that can be purchased as an accessory. 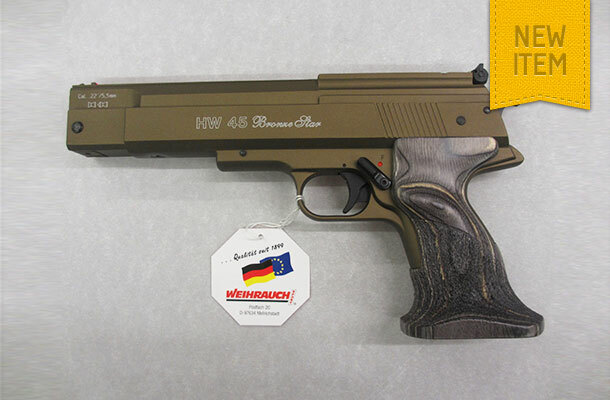 At present it is available only in .22 caliber, the muzzle velocity is approximately 492 feet per second whilst the weight is 3500 grams. Total length is 780 mm. 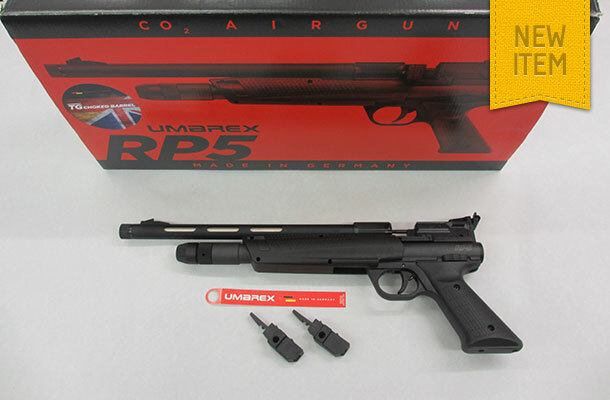 The new Umarex .177 caliber pellet firing “RP5” operates using two x 12grm Co2 cylinders and has a muzzle velocity of approximately 574 feet per second. 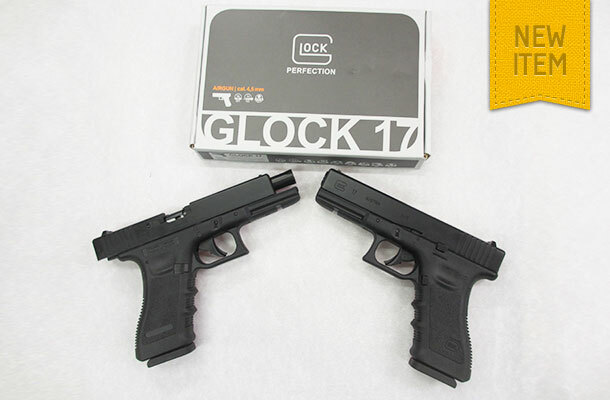 Features include 2 x five shot magazines plus an ambidextrous grip. The weight is 1140 grams and the total length is 435mm. The barrel is threaded to receive a half inch UNF sound moderator which can be purchased as an accessory. 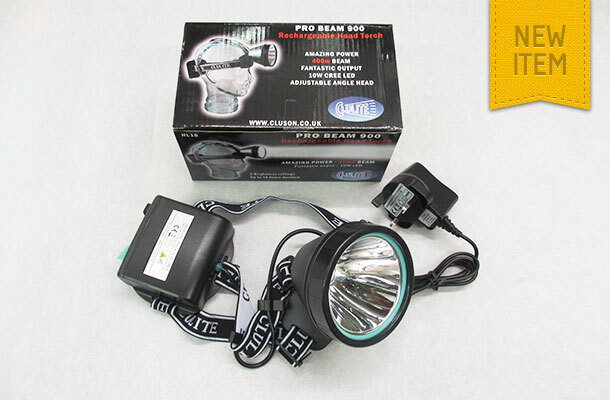 Woody’s have at last found, in the Clulite Pro Beam 900, a reasonably priced re-chargeable headlamp suitable for hunting. 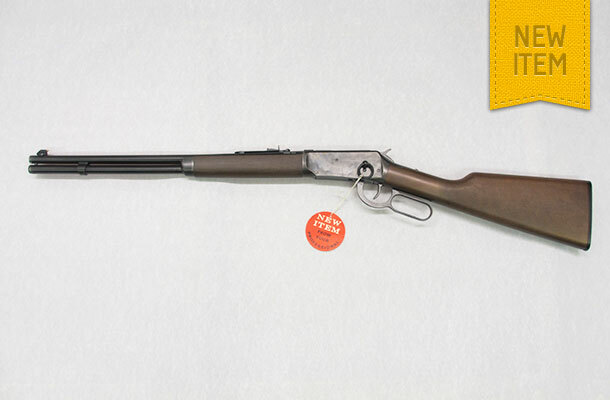 New from Crosman comes the “Wildfire” rifle. 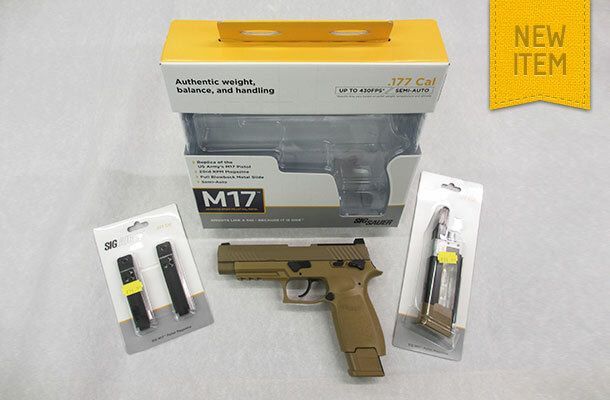 This .177 caliber pre-charged rifle is a great plinking gun. 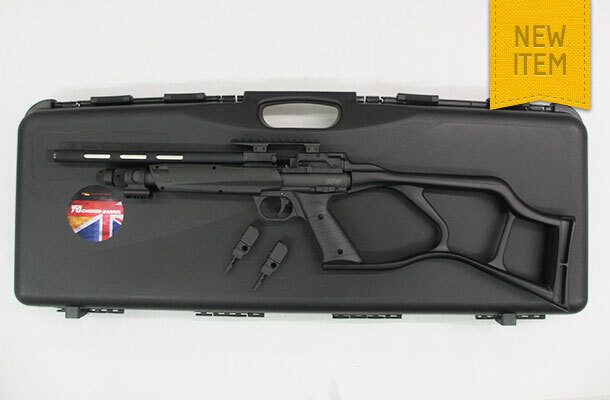 Features include a 12 shot magazine, ambidextrous stock, rifled barrel and open sights, although provision is made for fitting a telescopic or red dot sight. Once the gun is charged at 140 bar the reservoir will then provide enough air for approximately 60 shots. Please note the addition of a snap on connector is required if you do not already have one on your compressed air bottle or pump.